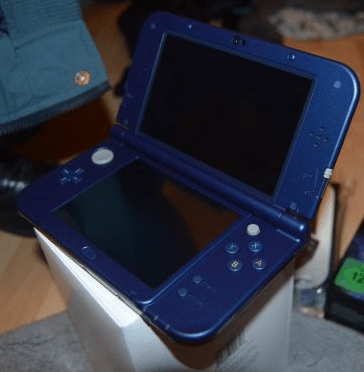 The New 3DS XL is an upgrade rather than a completely new console, and the new features it introduces sound minor when put into words, but in action they make a world of difference. The console has three extra buttons, two new triggers for more complex games, and a right stick to allow for easier camera control or other functions for any games that allow it. It makes titles like Monster Hunter and Ironfall much easier to get to grips with, and for many that’s a big enough upgrade in itself. But the system also has more power packed into it, allowing for faster loading times, downloads and even more technically advanced games. So far only one exclusive title is available to make use of the new speed and power, Xenoblade Chronicles 3D, but certain games such as Monster Hunter 4 Ultimate and Code Name S.T.E.A.M receive a bump in performance, be it improved monster textures or faster enemy turns. It’s hard to say how many games will make use of the extra power, as we’re only two months into the systems life, but any games that do will help to make the New 3DS XL an essential upgrade, rather than a decent optional one. Another big feature is how the 3D is handled on the system. Despite 3D being part of the 3DS name, many tend to play their games in without the pop in/ pop out effect due to the zen like focus needed to play games in 3D without the effects breaking up and become one big blur. Face tracking technology on the New 3DS means the 3D is far less likely to break now, as the 3D works in relation to where the gamer is looking. It brings a fresh kick to 3D and the novelty of seeing monsters pop out and worlds with fully perceived depth feels new once more. It’s feels like the potential of the system has been realised, and this is the upgrade we should have got instead of the standard XL. The new system also makes use of the new Amiibo toy line which tends to sell out before they’re available to buy, meaning games can take advantage of unlocking extra content, a feature Super Smash Bros for 3DS, Xenoblade Chronicles 3D, and Ace Combat Assault Horizon Legacy currently make use of. If you can find the figures you want that is. I often dream of having my own Shulk to unlock extra kit on Xenoblade. I always wake up with a pillow dripping with my tears. Though while the New 3DS XL adds a bunch of great new features, it also carries on with some of the same old issues. Getting onto the online store, be it through the main menu or during games, is still a sluggish process, and the system still only allows 32gb’s worth of storage via an SD card (this time they’ve gone the micro route, so for anyone transferring from one 3DS to another, make sure you have a micro card ready for action), unless you mess around to force more storage to be recognised by the system. The screen isn’t all that crisp either, especially when you compare it to modern phones, tablets or even the Playstation Vita. It makes the New 3DS XL sometimes feel not all that new, an ageing model trying to freshen up via plastic surgery and implants. 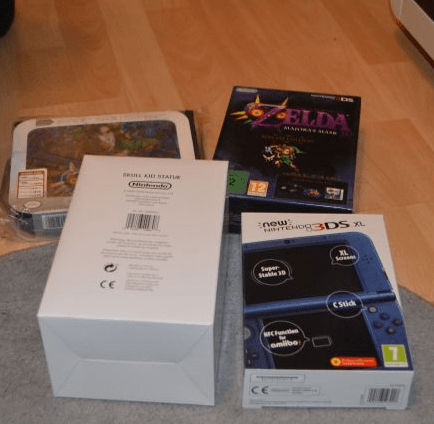 But the New 3DS XL, despite any old unfixed issues, is still a worthy update, and hopefully Nintendo continue to support it with exclusive games and enhanced regular games to make the upgrade feel worthwhile in the long run. Though any doubters will be sold on the system just by spending a few minutes with the new 3D stability face tracking. For once it actually works, more than 60% of the time, it works every time!